Salma Hayek will also reprise her role in the second installment of the action comedy film that will see Michael Bryce and Darius Kincaid on a secret mission on the Amalfi Coast in Italy. 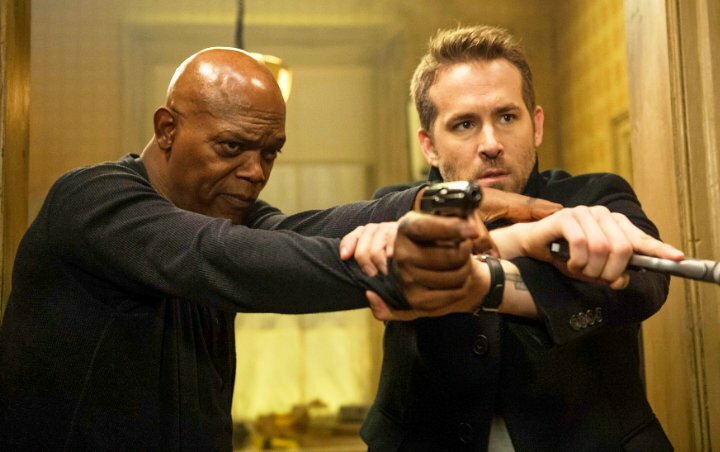 Ryan Reynolds and Samuel L. Jackson have been confirmed for “The Hitman’s Bodyguard” sequel. The Patrick Hughes-directed film saw Reynolds play Michael Bryce, a top bodyguard who gets a new client, Jackson’s character Darius Kincaid – one of the world’s most notorious hitmen. Released in August 2017, “The Hitman’s Bodyguard” received mixed reviews from critics and grossed $176 million (£135 million) worldwide, however, Lionsgate studio executives announced on Thursday, November 01, that a follow-up entitled “The Hitman’s Wife’s Bodyguard” is in the works. According to editors at The Hollywood Reporter, Hughes will be back in the director’s chair and will work from a script penned by Tom O’Connor, who also wrote the original. The film is set to pick up where the first film left off, and will follow the characters as they are enlisted for a secret mission on the Amalfi Coast in Italy. Salma Hayek, who played the wife of Jackson’s character, Sonia Kincaid, in the first film, will reprise her role for the sequel. Production is slated to begin in March 2019. No other casting details nor a potential release date have been announced. Reynolds has a number of projects on his plate at the moment. The 42-year-old recently wrapped on animated movie “Pokemon Detective Pikachu”, in which he voices the lead character, and is shooting Michael Bay’s new action movie “6 Underground“. In addition, he has been attached to reprise his role as Wade Wilson / “Deadpool” in forthcoming flicks “X-Force” and “Deadpool 3“, and is also set to appear in “Clue“, a movie based on the Hasbro board game which will follow a band of strangers as they frantically try to figure out who is the murderer among them. Meanwhile, Jackson has just reprised his role as Elijah Price/Mr. Glass in M. Night Shyamalan’s “Glass“, and will appear as Nick Fury in “Captain Marvel“. He is also in the post-production phases of movies “Inversion” and “The Last Full Measure“.